Do you love me for the treats? One day, something magical happened with Kip. I share his story because I find that it gives people hope. Helping a challenging dog is more than mechanics. It is an emotional rollercoaster. As a trainer, I might have the experience to know this is true. Someone forgot to tell my heart. One problem in particular hurt. Kip would not sleep on the bed at night. Perhaps that seems insignificant. Maybe some people might welcome that problem. Think about what it says when a dog moves off the bed each time you arrive and only when you arrive. It says, “I am aversive to my dog,” meaning that my dog wants to avoid me. Sleep, in my opinion, is a vulnerable time. Living in the wild, it makes perfect sense to hunker down in a hole. Predators are less likely to find you. In a human house, there should be no need to hide. I took it upon myself to change his mind. The plan was not particularly difficult. Kip felt uncomfortable when I got into bed. To address this, I brought treats with me. I would feed him treats. Eventually I started feeding him while I scratched his ear. Kip only stayed as long as the treats were present. Shortly after the last morsel disappeared, he would scamper to his safe corner on the floor. Do not let anyone tell you that doesn’t have the potential to hurt. Who wants to entertain the idea that your dog will only stay next to you if you have food? Gutted is the feeling that washes over you the moment you realized that your dog only wants the treat and not you. Flipping the proverbial coin, I wondered how Kip felt. How does it feel living life avoiding people and other things that are safe? Avoidance might be a life saving option for a feral dog that is living in the wild. So long as we avoid conflict, we can avoid fighting and aggression. The absence of blustering does not mean that the dog enjoys the presence of others, nor does it mean that the dog feels safe. Much of the first part of our life together, I suppose Kip and I were much like the couple who cohabitate through successful avoidance. So long as we were busy doing things, life was good. We interacted through tricks and training. In the quiet moments, his subtle avoidance that stood out as an indication that the trust between us was not where it needed to be. Despite the hurt, each night I’d grab a handful of treats. Pet – treat. Belly scratch – treat. After months of doing so, I resigned myself to the fact that perhaps life would always be like this with him. It hurt. There is something comforting about the idea that not all dogs are social butterflies. Which I suppose is a thinly veiled way of saying, “It’s not me.” It truly was not me. He was born that way, touch sensitive and high anxiety. It still hurt. Then one night, it happened. I went to bed, treats in hand. As he finished the last crumb, I realized that he stayed. I continued to scratch behind his ear. He leaned into me. His paws went up over his muzzle, rubbing his face in that way that means, “I am happy.” He wanted to stay. He momentarily placed his head on my knee. Somewhere along the way, it stopped being about the treats. In behaviour modification terms, he developed a positive conditioned emotional response. The positive interactions we had with the treats transferred to our relationship. Ear scratches and belly rubs became positive in their own right. Kip felt safe enough to stay on the bed, open to the approach of others. I did not need to have Kip on the bed. To me it was a significant reflection of how Kip felt about his people and his personal space. Certainly, many dogs prefer to sleep on the floor for other reasons. 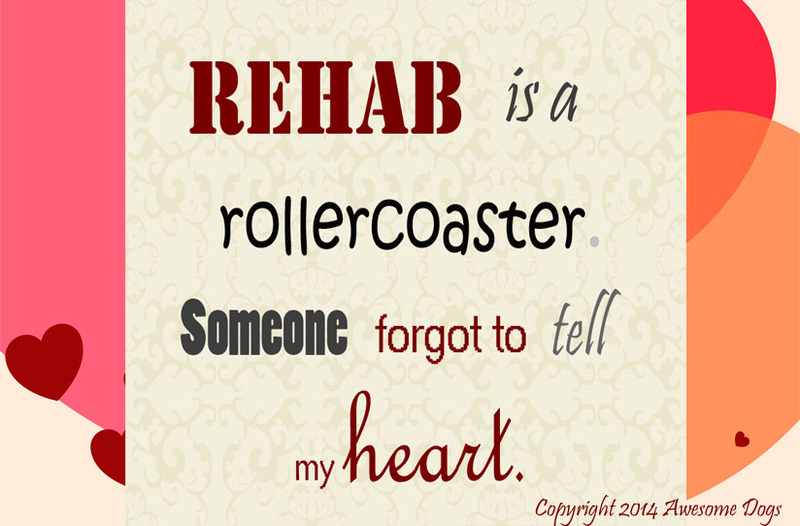 We do not always do rehab because a problem needs fixing. Failing to address fears means that the dog misses the joy that social interaction can bring. We miss out on living a life where we can interact with our dogs without worrying that we are aversive to them. We create positive emotional responses so we can thrive rather than survive. At the end of the day, we cannot force a dog to like us. We can only invest our time and energy into giving all of our heart, hoping that we create trust. Faith – not blind faith – but scientific faith gets us there. If the means and method are sound, the results will follow. If we do that, we might be surprised to find that one day it happens. One day, it stops being all about the treats. 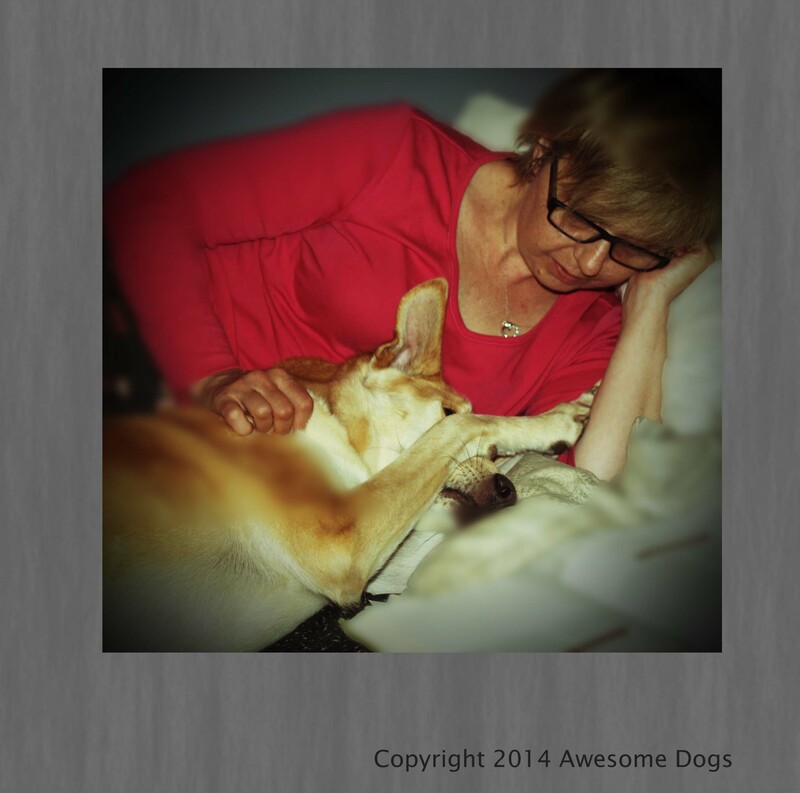 Previous Previous post: Nine Steps to a Calm, Relaxed, Quiet Canine. Have a Go at DRO. I have had a similar experience with my beautiful husky who had been severely abused before I rescued her. It took months, but that first time she leaned into my hand when I scratched her ear almost made me cry. She turned into the most loyal and affectionate pet anyone could ask for. Tears. Absolute tears. This hit so close to my heart. My guy has a little anxiety and a LOT of independence. We’re trying for IPO obedience and it’s so, so hard with such independence. And you do! You feel so absolutely gutted when they want so many other things INSTEAD of you. There’s no quick fix, it’s a long, slow, and incredibly painful process. So heartening to read a success story full of so much love. Thank you thank you for this post. Wishing so many good things for you two. My favorite part of this lovely story is your empathy in being able to turn it around and consider how it was for him. I too know the absolute hurt of having a dog who can’t/won’t stay in the same bed or room at night. Gosh it hurts. There is no denying it. But I’ll be better in the future about not being so self centered. What would it be like being the one who didn’t feel safe? Thank you for sharing this story. I am glad it worked out for both of you. I went through something similar with my anxious dog. I remember the first time I realized she was staying up in bed with us, laying on my feet. Now every morning when she hears my alarm she crawls up from my feet and snuggles into my chest so we can cuddle for a few minutes before I get up. Makes my heart burst every time. What a lovely story, told from the heart. ” Failing to address fears means that the dog misses the joy that social interaction can bring”, and “Faith – not blind faith – but scientific faith gets us there. If the means and method are sound, the results will follow.” Amen to that! Wonderful! Truly heartwarming post. Thank you for sharing and giving hope to many with fearful dogs.